Chinese President Xi has been hailed with a personality cult akin to support for Chairman Mao, at least in some circles. As if the Xi personality cult wasn’t enough, China also saw a bloodless victory in the Philippines. In an effort to seek their own so-called “independence”, Philippinos’ new choice of a president has thrown-off many ties with the US in exchange for more dependency on China. China still patrols disputed Philippine islands, but fishing boats don’t get harassed any more. It probably makes sense in the Philippines every bit as much as it made sense to France and Italy 80 years ago. The Pacific resembles pre-WWII Europe with more and more likenesses every week. NPR reported that Philippine President Rodrigo Duterte will stop swearing as much. That headline probably made sense to NPR, given the situation. As for swearing and the Pacific, Hong Kong, with no military, is putting up the greatest fight against China. Lawmakers “swore” during their swearing-in, contrary to some stipulations that no Hong Kong lawmaker can object to Chinese rule. The Philippino “switch” was always going to happen. Their desire for “independence from other countries” will eventually drive them to fly China’s flag above their own, just how China’s desire for respect provoked Beijing to provoke the West, just how “America and her interests” drove the US to fly its flag at military posts in countries across the globe thereby frustrating Beijing and Milan. With Taiwanese public continuing strong objection to Chinese patrol expansionism (75:18%), with Hong Kong (under China) wanting out from China, with the Philippines shifting sides, and with Cambodia cozying up to Beijing, we could see more jersey swapping in the coming months. Japan and South Korea are standing against North Korea on nukes—by cooperating with the US. That coalition could very easily extend to Taiwan, as far as N Korea nukes are concerned. The islanders of Taiwan oppose nuclear “anything”, just like post-Fukushima Japan. Taiwan also has a close cooperation with the US military, the kind of cooperation the Philippines just renounced. The Pentagon has yet to give an elaborate position on the Philippines’ wave-making. In war, if the Philippines violates any alliance agreements, the Pentagon could declare the Philippines as “rogue” and get the excuse they need to use force. Who knows what would happen then. China’s “no-objection” policy for HK lawmakers has given Great Britain whatever excuse the Crown needs to anchor the Royal Navy in Hong Kong, much like Queen Victoria did against China via Taiwan. When Southeast Asian Islands start spitting at each other, Hong Kong could could get snatched-up in a Pacific-West coalition. Having no military could be the only reason Hong Kong can court sympathy from the West. Guarded by mountains between the New Territories and Shenzen, Hong Kong would be strategic. The West would then see Hong Kong as the “trump card” while China would come back with the Philippines as the “wild joker”. The Philippines and Hong Kong don’t seem to have figured out that every island is just another pawn. The Pacific Daily Times Symphony Editorials take no sides, except the side of foresight: It was all predictable. This week we see a new classroom game called “China Says”. 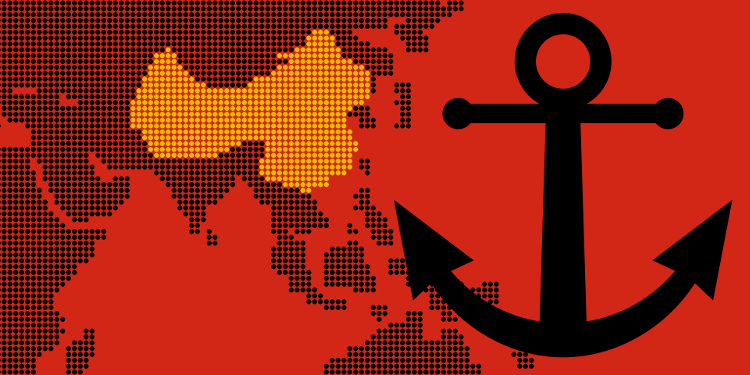 China wants everyone to say that the South Sea is theirs. Manila wants Japan to say that Pacific nations should say otherwise. China says that no one else should say otherwise. The US says that China should be careful about what it says and does. Taiwanese say that Tienanmen was a “massacre”, saying that Taiwan’s president is “disappointing” for saying Tienanmen was an “incident”. John Kerry says that China should listen to what Hague says. China says that what Hague says doesn’t matter. Taiwan also says that what China says about the South Sea “Air Defense Zone” doesn’t matter. China says that there is no fear of trouble.